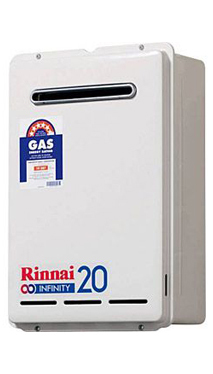 The Rinnai INFINITY 20 is ideal for 1-2 bathroom homes. In warmer States of Australia, higher ambient water temperatures (i.e. cold water temperature) allows the INFINITY 20 to deliver up to 24 litres - easily supplying 2 bathroom homes with the addition of another outlet also operating (i.e. basin tap).